Expanded polystyrene (EPS) foam is one of the most heavily debated when it comes to recycling. Many are not aware EPS packaging is recyclable – and has been recycled successfully by businesses and consumers throughout the United States for over 25 years. 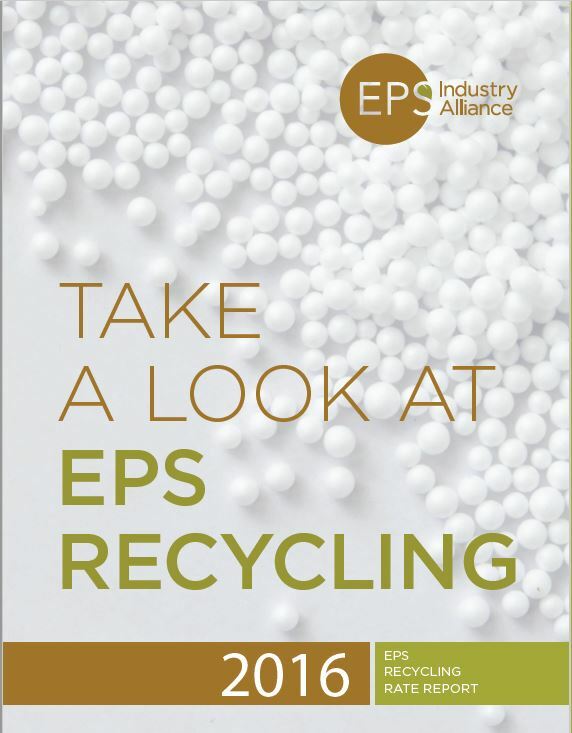 The 2016 Expanded Polystyrene Recycling Rate Study was conducted by the EPS Industry Alliance (EPS-IA) to better track EPS recycling activity. The Study gathers data to reflect both post-consumer and post-industrial streams. The 2016 results are based on data received from 45 EPS manufacturers and independent recyclers in the U.S.